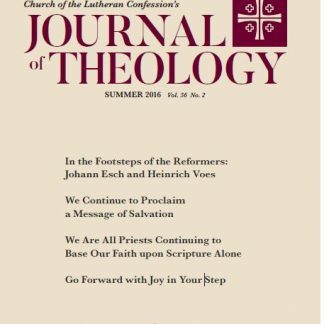 A conservative Lutheran monthly magazine with articles, devotionals, and CLC news. Focused on the proclamation of the Word. 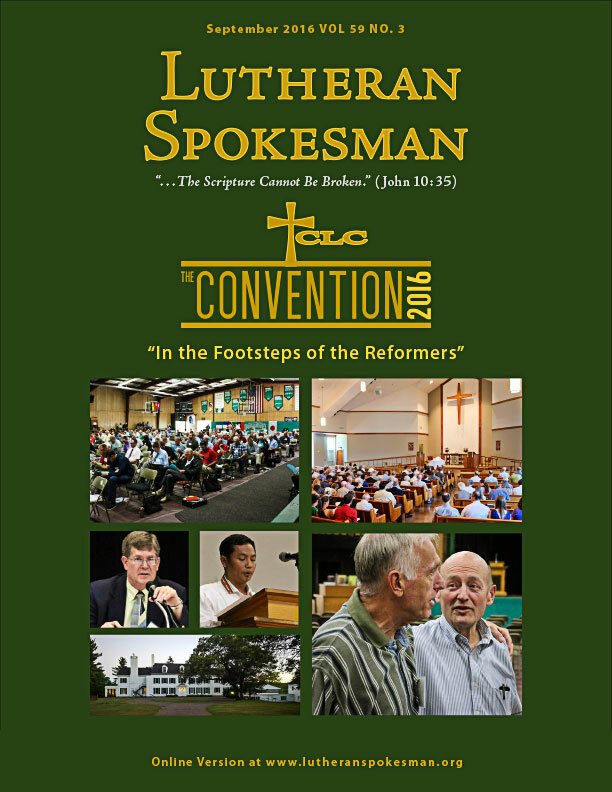 James Albrecht, Theodore Barthels, David Bernthal, Wayne Eichstadt, Daniel Fleischer, David Fuerstenau, Frank Gantt, Mark Gullerud, Jay Hartmann, Richard Kanzenbach, John Klatt, Paul Krause, David Lau, Joseph Lau, Delwyn Maas, James Naumann, Nathan Pfeiffer, David Reim, Andrew Schaller, Caleb Schaller, Thomas Schuetze, Mark Weis. Material submitted for publication should be sent to Editor Paul Naumann eight weeks before date of publication. Announcements and other short notices should also be sent to Editor Naumann. Business Manager: Benno Sydow, 2750 Oxford St. N., Roseville, MN 55113. 2750 Oxford St. N., Roseville, MN 55113. 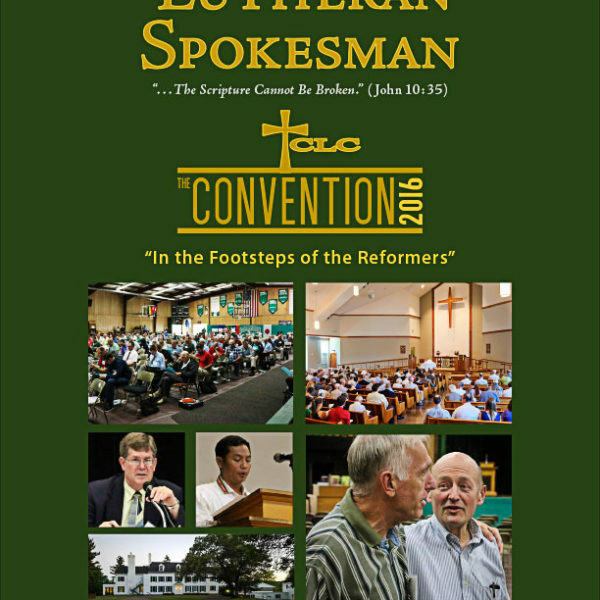 The Lutheran Spokesman, with a paid circulation of 1,886 and a total distribution of 1,988, is owned and managed by the Church of the Lutheran Confession of 3015 Avenue K NW, Winter Haven, FL 33881.